Everyone loves music since there are so many different ways to enjoy it. Some choose to listen to it, while others go a step further and become part of it. Some of those folks are the ones who actually play an instrument or compose music. It could be as a hobby or as a career choice. Regardless to why, being able to do so allows them to be a step closer to music by being a bigger part of it. There are hundreds of different kinds of instruments people can learn to play though. But out of so many, which ones are the most popular? This top 10 most popular instruments to play shows just which ones people love the most. Being able to play your favorite instrument has many advantages. Some use it as a pastime, others simply to get their children interested in playing them. The benefits of playing an instrument are substantial based on research; especially for young children. 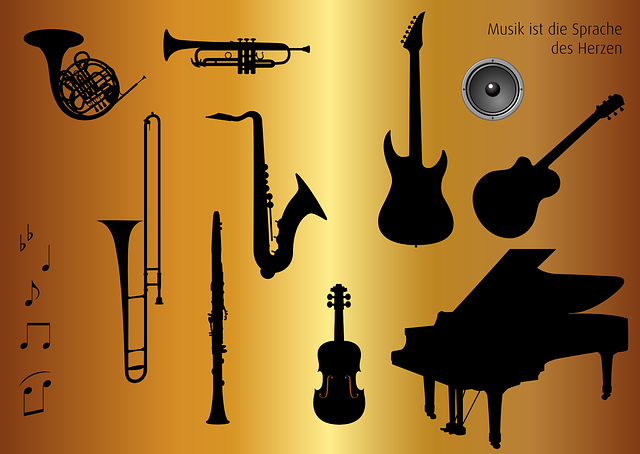 Millions of people all over the world play all kinds of instruments as a way to express themselves. Others simply do it for entertainment, fun or to earn money. Regardless of why, this list shows the top ten most popular out of all of them. It wasn’t until recently that the electric guitar became the most popular instrument on the top ten list. Before that, the piano was actually in first place. However, the electric guitar now has the top spot. The rise can be attributed to several factors. For one, there’s the popularity of pop and rock and roll artists and music. There are countless videos and movies displaying artists playing electric guitars as they enjoy themselves and woo the crowds. In addition, video games which allowed people to play the guitar – such as Guitar Hero – are extremely popular as well. No matter what, the electric guitar sales and lessons have elevated enough to become the number one instrument to play. The piano is one of the most popular instruments in the world. That’s because it is so versatile and can be played in just about any music genre. The piano can also be played solo. In America alone, there are about 21 million people who play it. While it is more expensive than an electric guitar, it is still very popular. Many music producers, artists and conductors rely on the piano as a way to create some of the best music available. The fact that the piano can be used by itself for someone to perform or entertain others, also makes it that much more popular and powerful. The violin is considered one of the most beautiful sound producing instruments in the world. It is also one of the oldest which has been around for centuries. Furthermore, the violin has hardly changed during all those years. For various musical genres, the violin is an integral and important part of it. Users begin playing it as early as 6 years old. It is a great instrument for kids to start out which may explain why it’s so popular. Although not as quiet as other instruments, the drums have a high popularity overall. Playing the drums allows a player to lose themselves in the moment. Since drums play an integral part of so many music genres, it is unlikely it will ever fall from the top ten position. Still, for anyone who has to go through the beginning of a drummer’s playing career, it can be overwhelming and difficult. In the instrument world, bass guitar is probably the most underrated instrument. It is also one that people sometimes fail to respect. However, the bass guitar is very essential to numerous music genres. Compared to other similar instruments, it is easier to learn though. When people think of a saxophone, most associate it with jazz music. Still, even though it is very different from other instruments, the saxophone is very popular and important. The saxophone can be soft, loud and even sound like a woodwind or brass instrument. Many consider the sax as one of the sexiest and most romantic instruments around. The cello produces a sound that no other band instrument can compete with. That’s because it has a perfect tone and can accompany just about any other instrument. In addition, the cello can perform some beautiful solos. Although slightly bigger in size, it is closely related to the violin. For parents who want their child to learn to play it, the recommended starting age is 5 or 6. One of the things that makes the flute so popular is that it is an inexpensive instrument. It is also very easy to learn and let’s you take it anywhere with you. Add that the flute is so much fun to play and you will see why it is on the top ten list. Those reasons give it many advantages for people looking towards their first instrument to play. Just like the flute which is part of the woodwind family, the clarinet is a great instrument to learn to play. Although it is mostly accompanied by other equipment, you can still play it solo. Unlike other instruments which should be started at an earlier age, the clarinet is recommended at around 10 years or so. Still, because it is so versatile, small and lightweight, the clarinet is very favored among others. If you love music, you can also enjoy What Is Music Without Words Called? Hard to believe that the trumpet is the only brass instrument on the top ten list. Yet it is one of the oldest musical instruments around. The trumpet can be played accompanied by others or solo. Since it is easy to take with you and inexpensive, that helps to make it that much more liked. ‹ Do Ghosts Make Sounds?